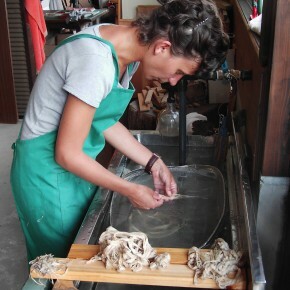 We provide In-depth Workshop and Tourist Workshop. 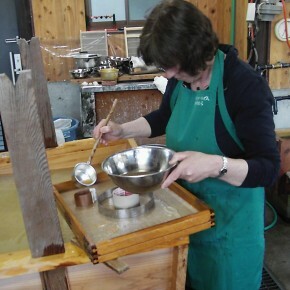 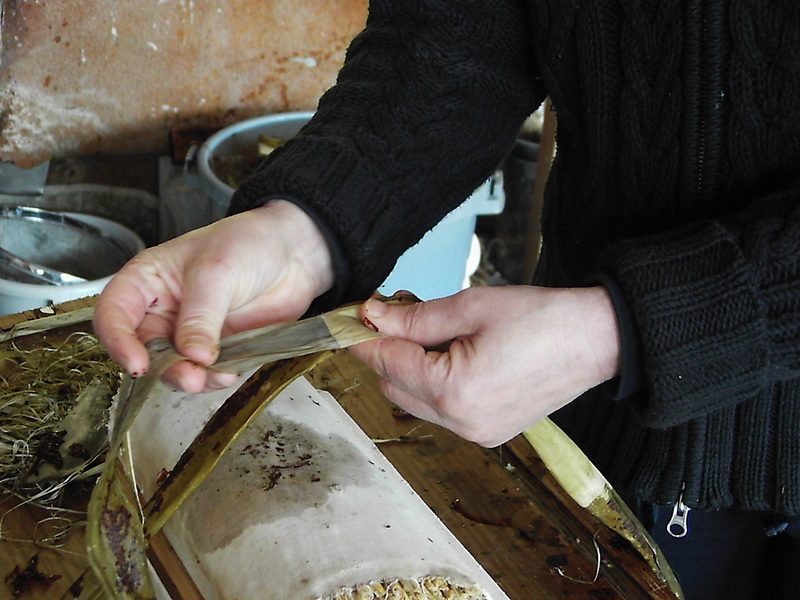 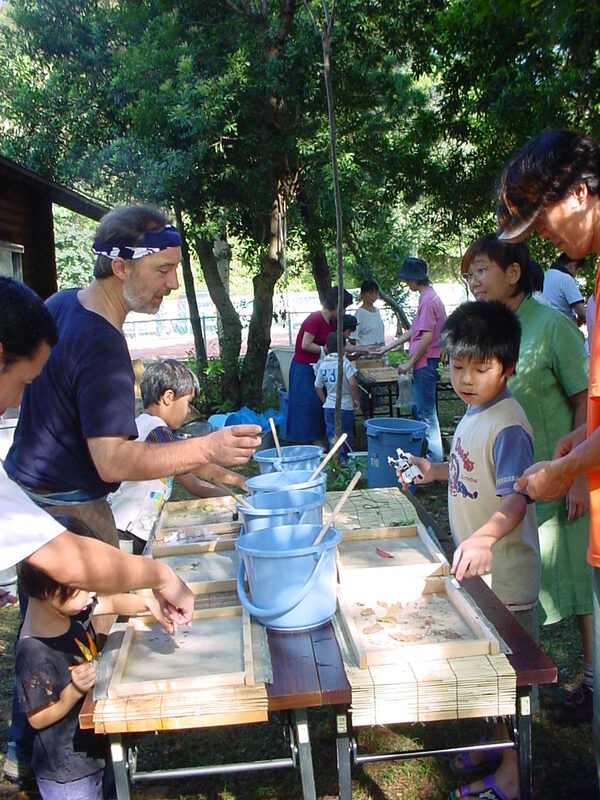 This course is 2 days or 3 days program given by Rogier himself to make and learn Washi paper in traditional way. 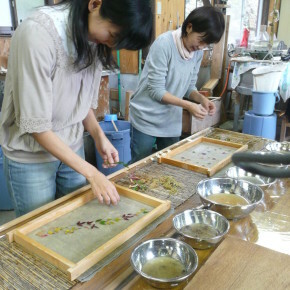 This course is for the people who want to learn the process of traditional workshop, who want an experiecne of Japanese culture and who want Washi paper made by themselfs. 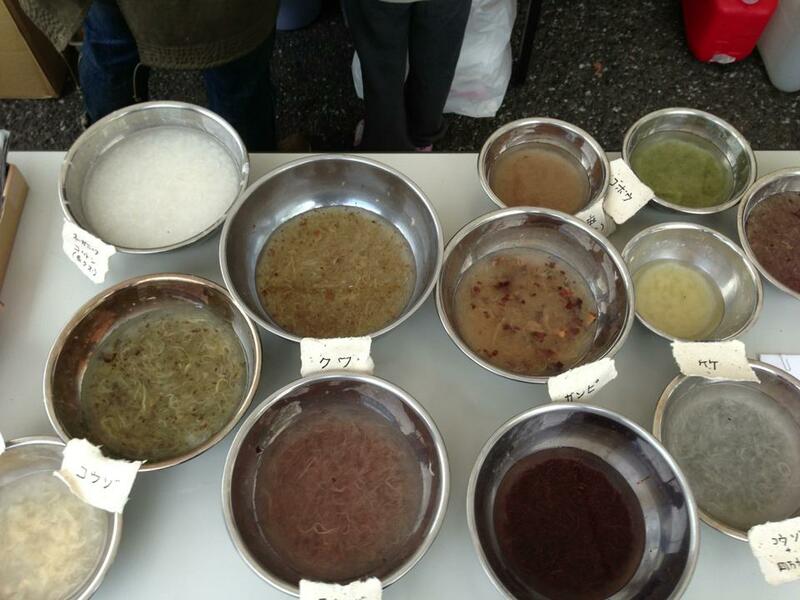 In this course you will experience the whole process from fiber preparing to sheets drying in traditional way without using any chemicals nor machines. 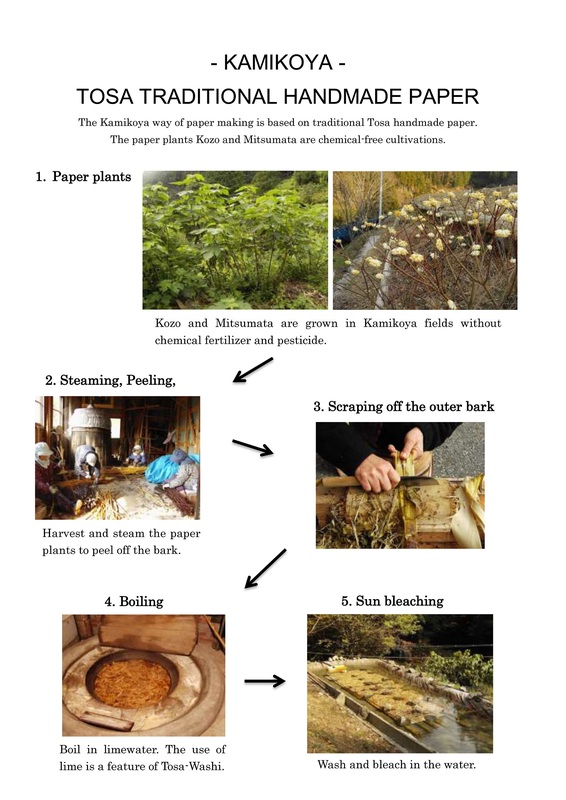 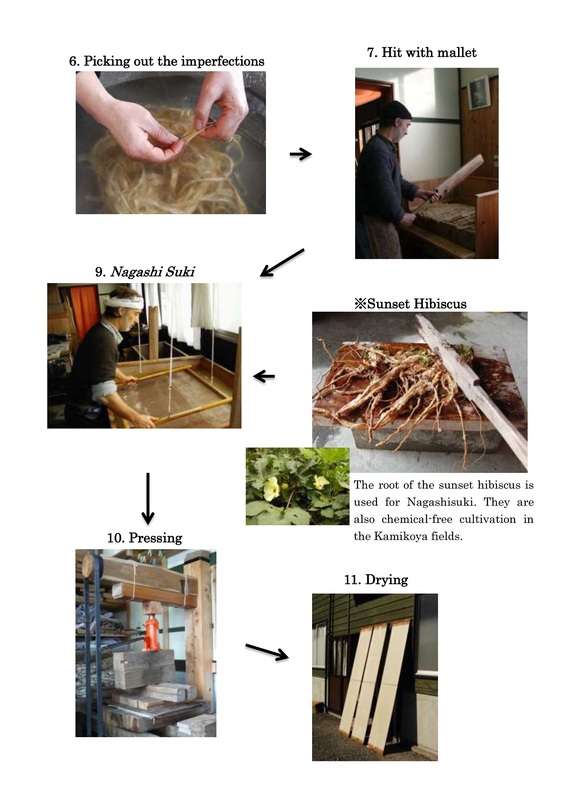 Please check the pictures below for your reference of our paper making. 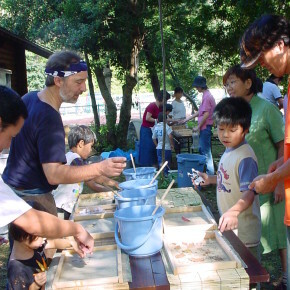 This course briefly including everything required during your stay. 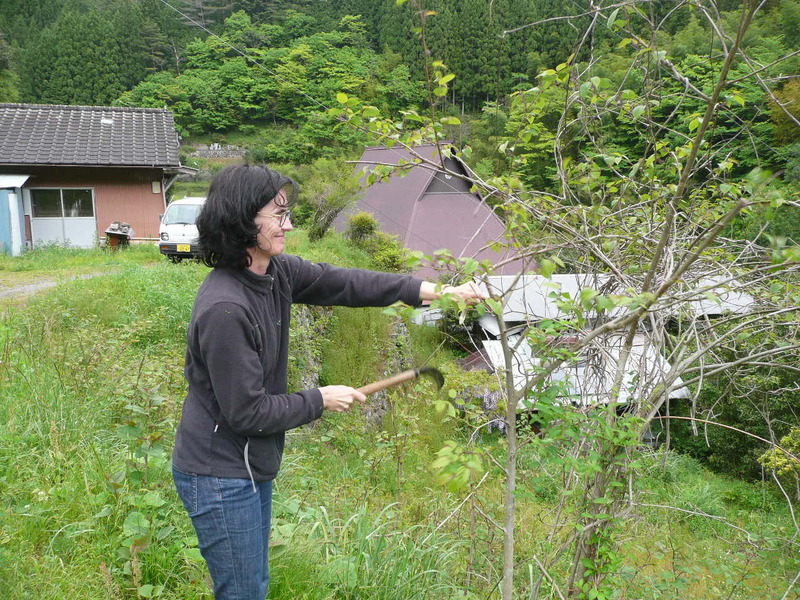 Please check this page about the accommodation. 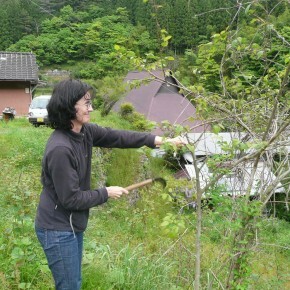 Please make a contact when you don’t need meals or accommodation. 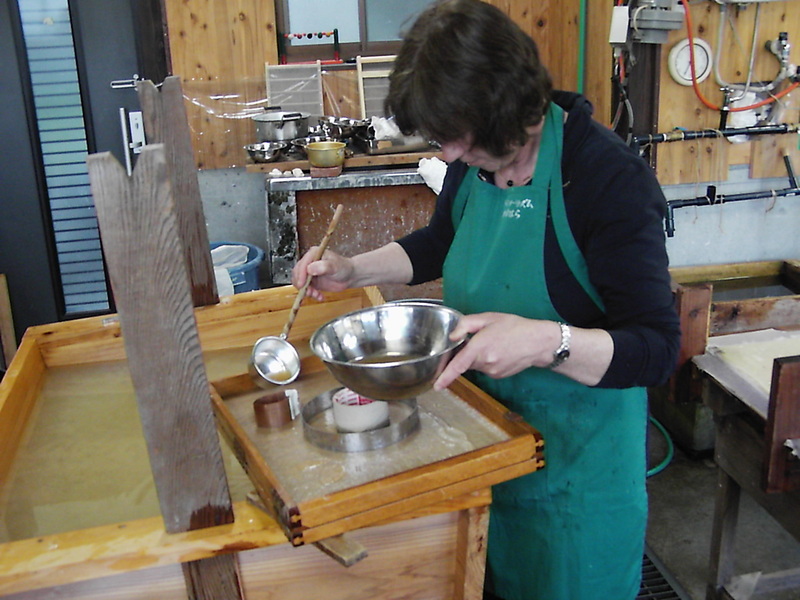 We offer private customized workshops for professionals, artists, and anyone who is interested in learning paper making in more depth. 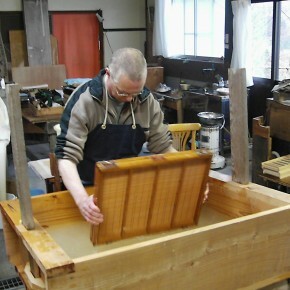 The workshop is given by Rogier himself. 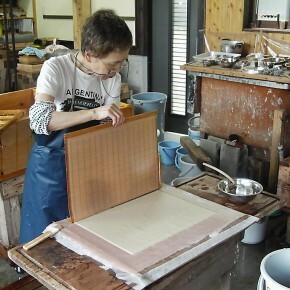 Crafting paper to make object such as lamps, wall paper, etc. 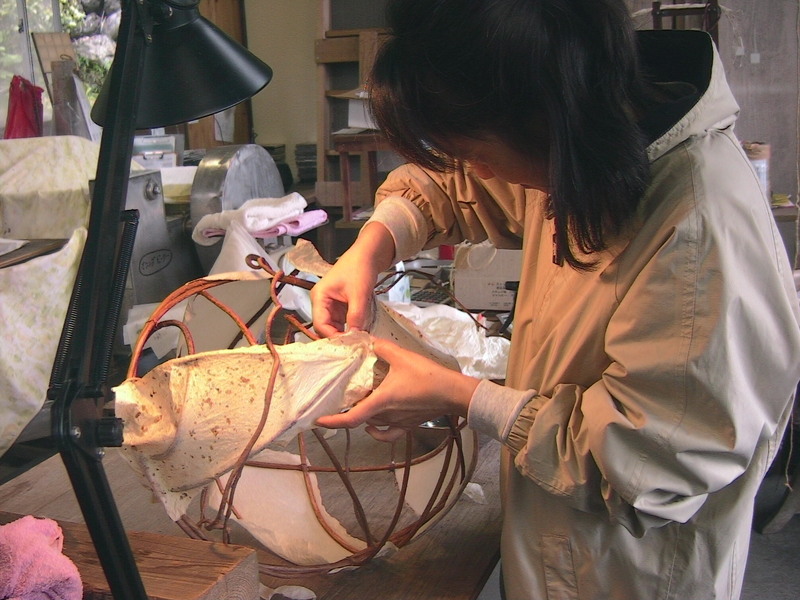 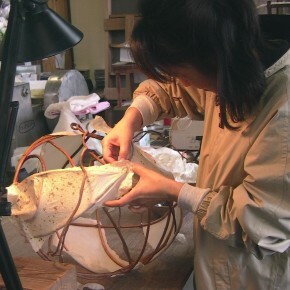 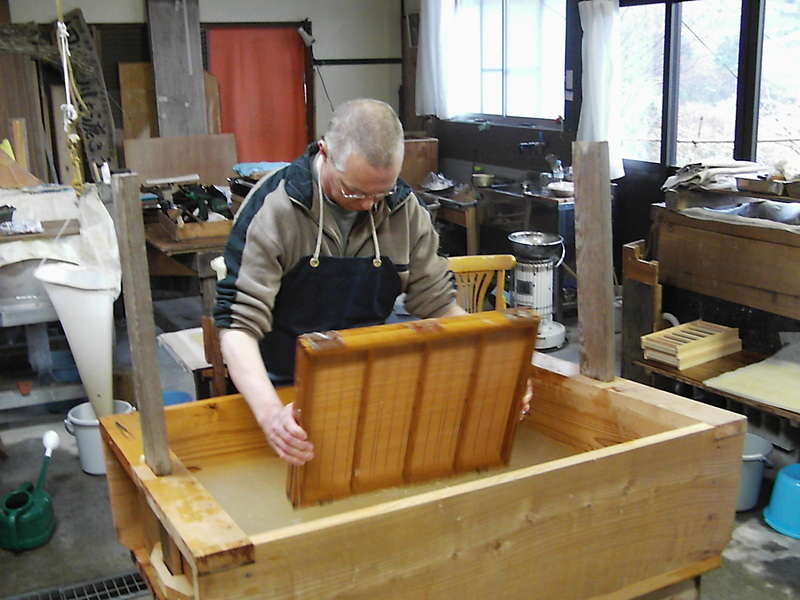 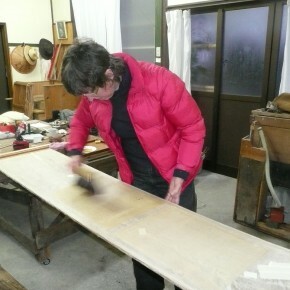 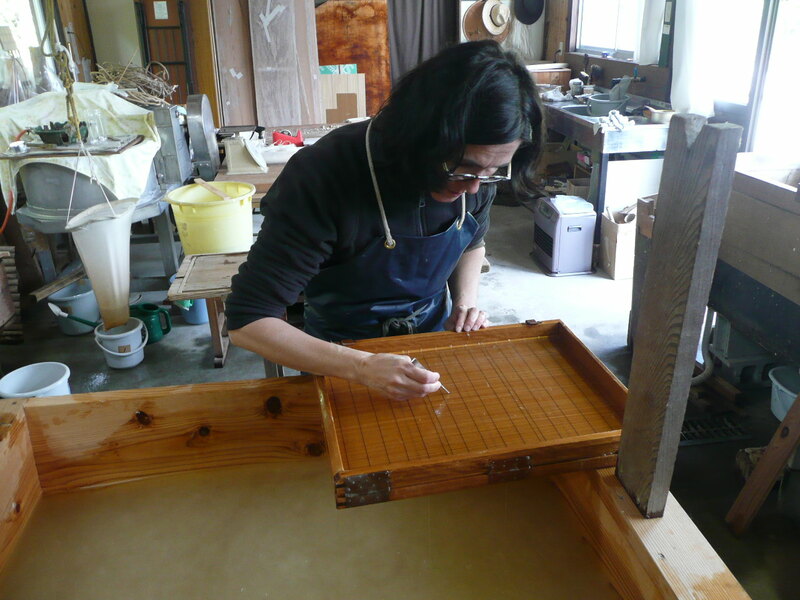 The Price of the workshop is going to be from 30,000yen to 40,000yen per a day. 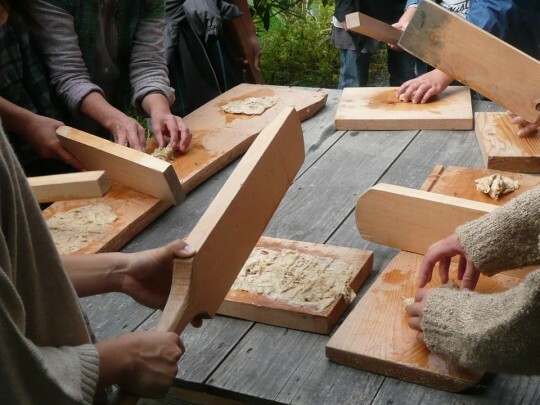 The price of accommodation is 9,000yen per person including meals. 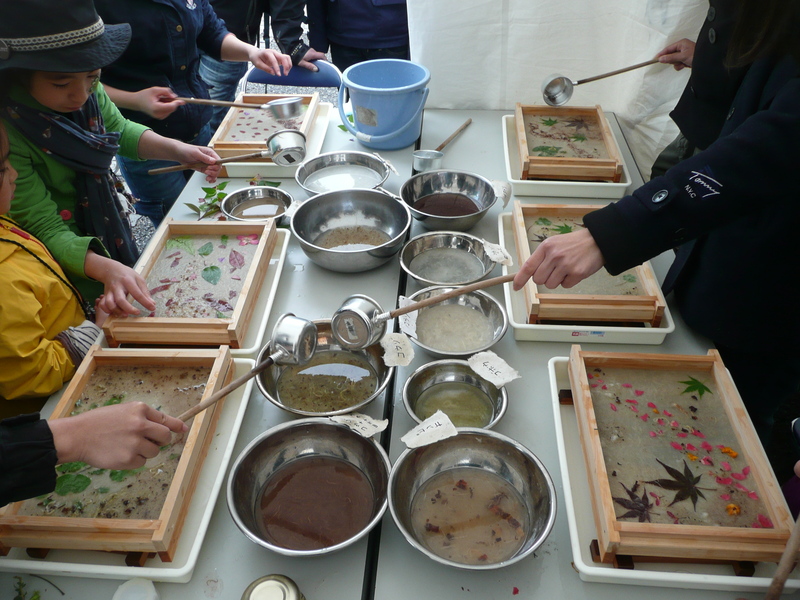 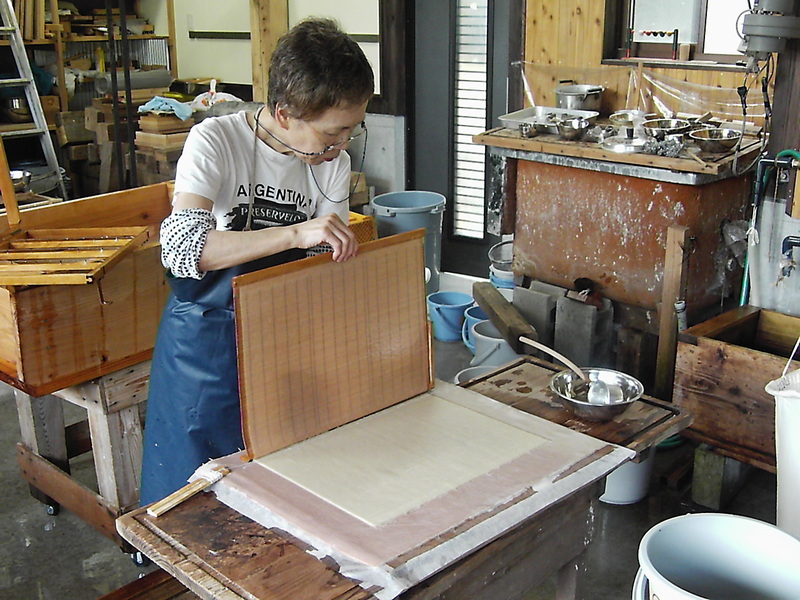 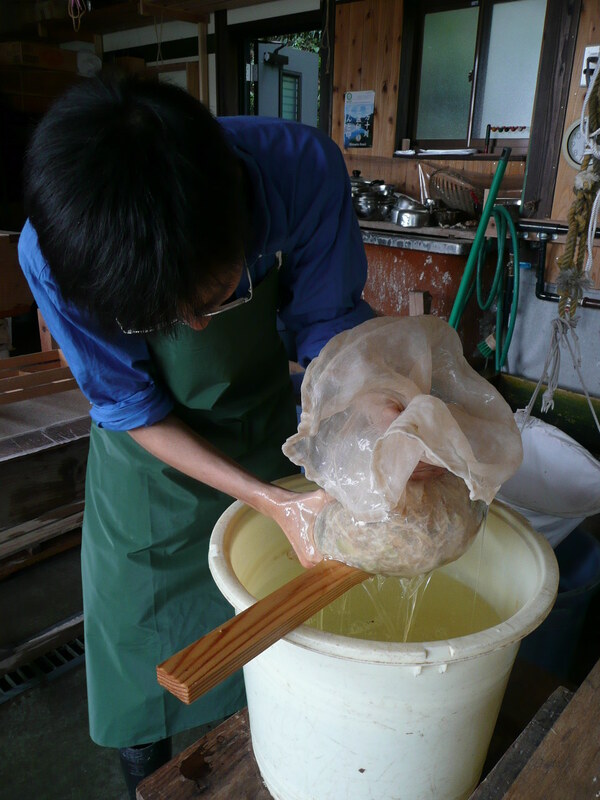 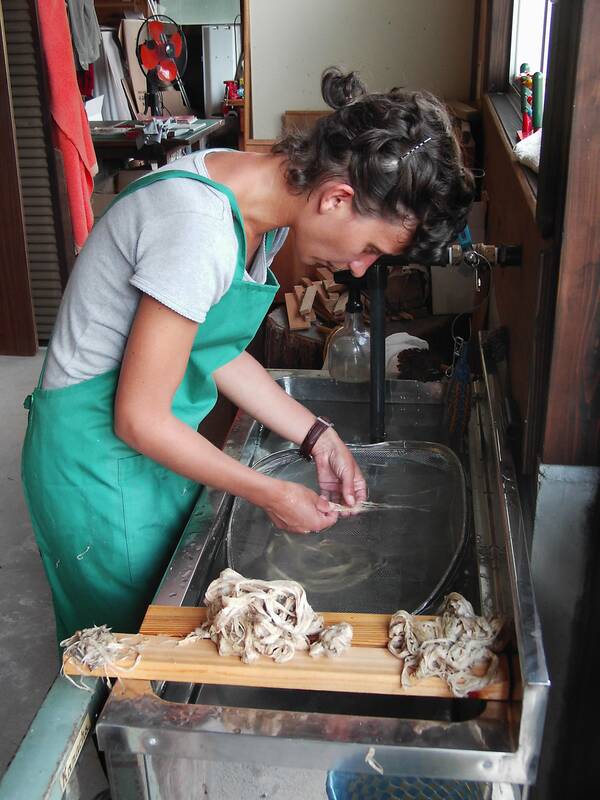 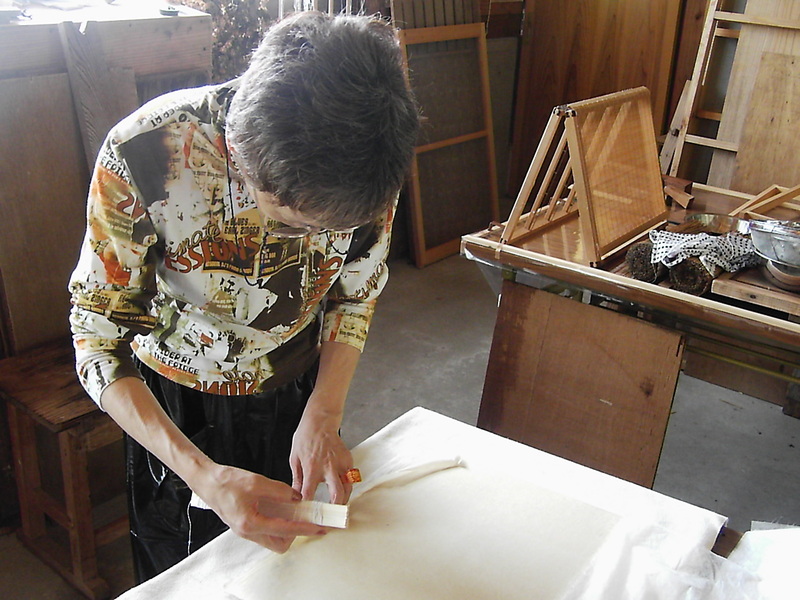 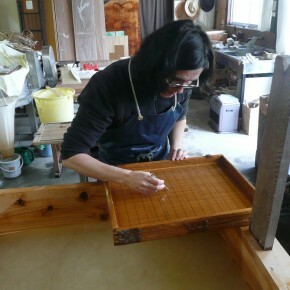 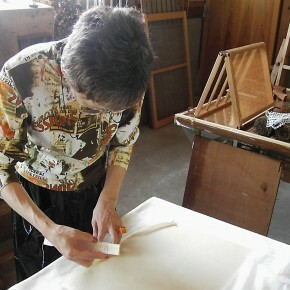 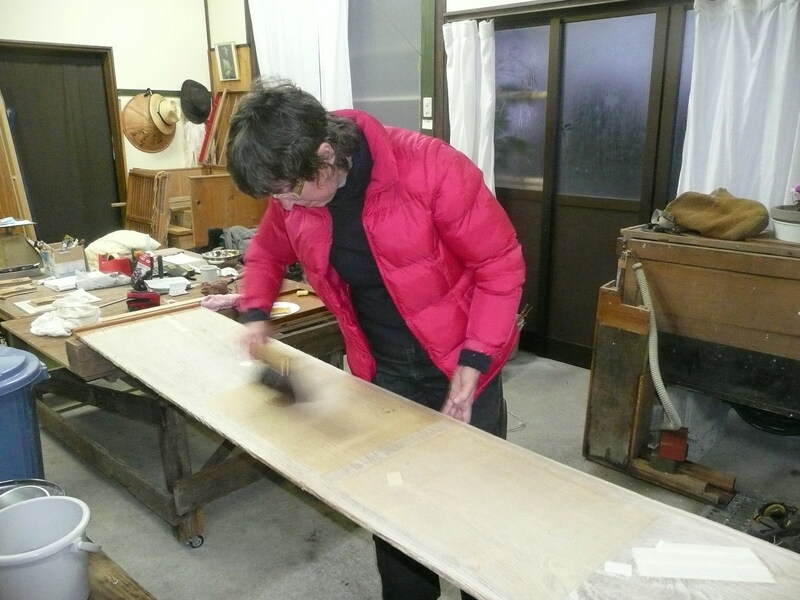 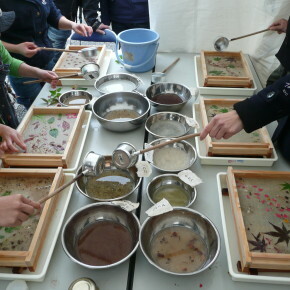 In this workshop you will make original paper after a short explanation about traditional Japanese paper making. 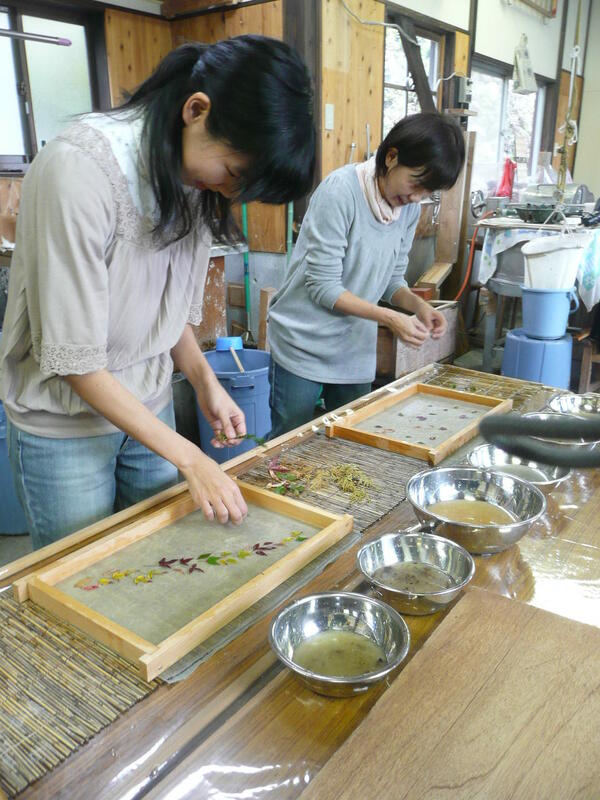 You will also pick some flowers or leaves from around Kamikoya to put them in your paper. 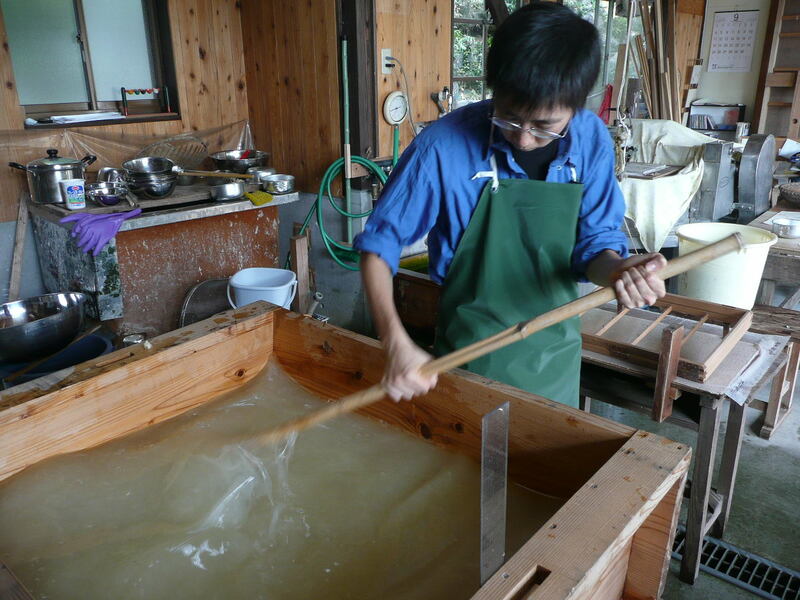 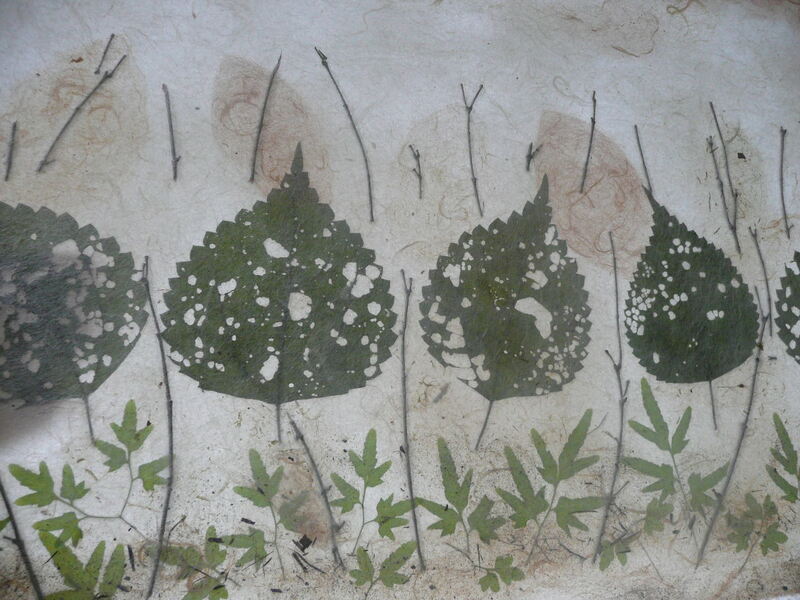 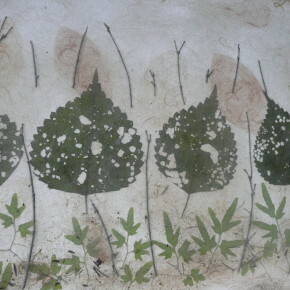 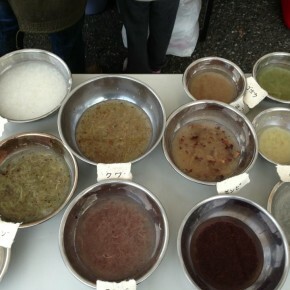 The method of paper making is called Pulp-painting. 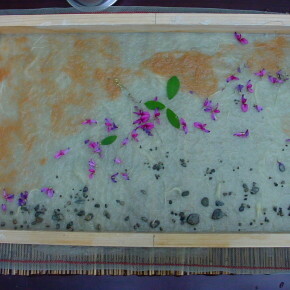 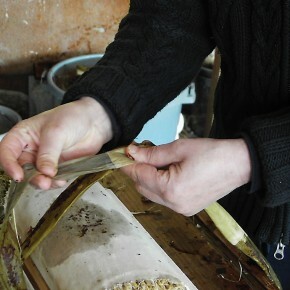 The paper will be dried naturally, and sent after a few days. 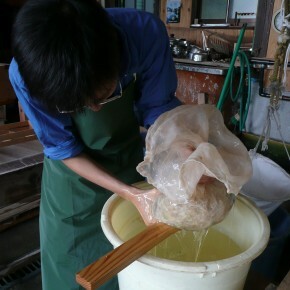 Additional shipping charges for aboraod will apply.